Flexible Tubing & Elbow Connector for Tabletop Fountain Pumps. 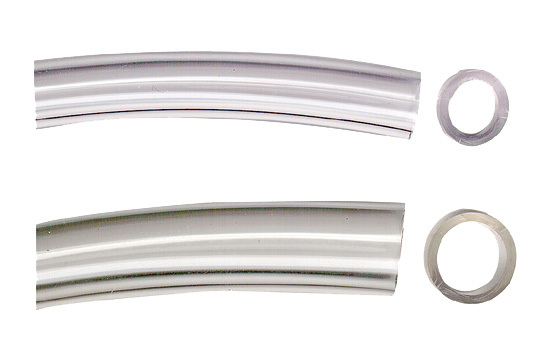 A) Flexible Clear Plastic Tubing. Rigid plastic with 1-1/2" arms. (A) Tubing for Fountain Pumps - 3/8" I.D. (A) Tubing for Fountain Pumps - 1/2" I.D. (A) Tubing for Fountain Pumps -5/8" I.D.